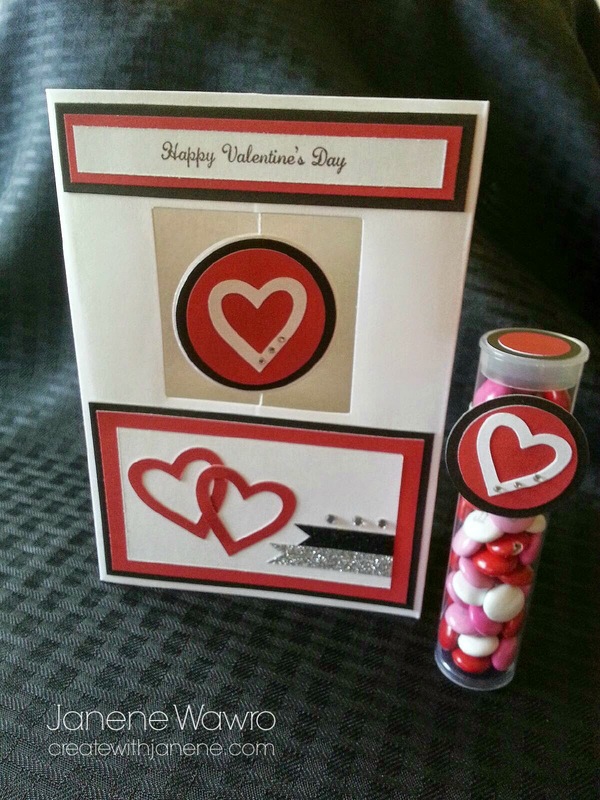 Create With Janene: Matching Valentines' Card & Treat Tube! Matching Valentines' Card & Treat Tube! I had tons of fun creating this super cute circle spin card and matching treat tube. You could adapt this for any holiday or theme - just change the papers, colors, and materials, along with the theme candy. Adorable! 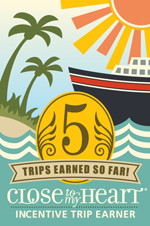 The base of the spin card is from Close to my Heart, found HERE. You can also purchase clear treat tubes, found HERE. Colors of cardstock and ink used are Black, White Daisy, and Ruby. Circle and heart shapes were cut from the Exclusive Close To My Heart "Art Philosophy" cartridge, and the card was embellished with Sparkles, Black Shimmer Trim, and Silver Shimmer Trim. If you live locally, contact me to attend a workshop in Denton THIS Thursday, Feb. 12th, daytime or evening. Have fun creating!